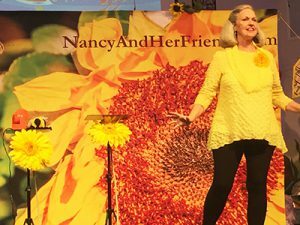 Free shows and workshops for kids of all ages! Workshop space is limited. Please pre-enroll by emailing kinetam@gmail.com to guarantee a space. Explore the history of the kabuki theater of Japan and learn movement techniques of the samurai (male) and onnagata (female), wearing kimono costumes and learning to gesture with fans—dramatically popping them open one-handed. This hour-long workshop is taught by Kent Williams, local teaching artists, puppeteer and voice-over actor. Learn to think on your feet with theatrical improvisational skills. Play improv games designed to make you think and laugh. A great way to build confidence and collaborate with others. *Pack a lunch and stay for both workshops. Adult supervision will be provided. 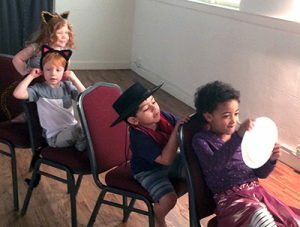 A classic fairy tale story of being on a quest to find everything “just right” transformed into a 35-minute children’s opera for hilarious fun for kids of all ages! Music is taken from famous operas with new lyrics mixed with original music by Dallas’ very own Mark Landson. 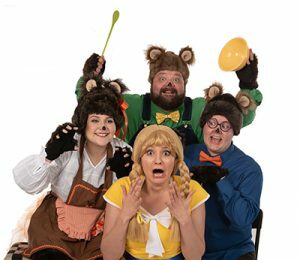 Goldilocks and the Bear Family will bring laughs and philosophical fun to forgetting your manners. Ever wonder how the fight scenes in your favorite movies and shows are done? Come learn the art of fake fighting. Learn how to safely use your body for staged falls, punches, and more. Present your skills in a short presentation to family at the end of class. Do you love to act out stories? Silly stories? Mixed-up stories? Come stretch your creative thinking skills and have fun bringing your favorite books to life. Taught by Kineta Massey, theater teacher in the DFW area since 2001. 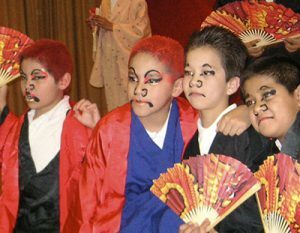 Explore the history of the kabuki theater of Japan and learn movement techniques of the samurai (male) and onnagata (female), wearing kimono costumes and learning to gesture with fans – dramatically popping them open one-handed. This hour-long workshop is taught by Kent Williams, local teaching artists, puppeteer and voice-over actor.